In some cases, your furniture or bed will not fit through the usual methods such as front door and elevator. 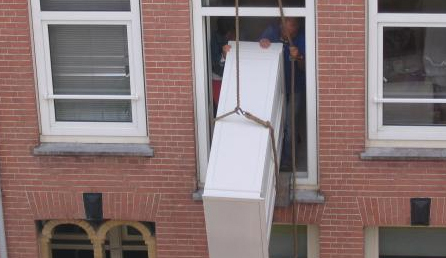 In these rare cases, Quality Moving & Packign offers hoisting through the window which can be an effective way to get your furniture where it needs to go. For all your hoisting contact Quality Moving for a Free Quote.